A woman was evacuated from a fort in the Solent this morning by Gosport & Fareham Inshore Rescue Service after she developed breathing difficulties. 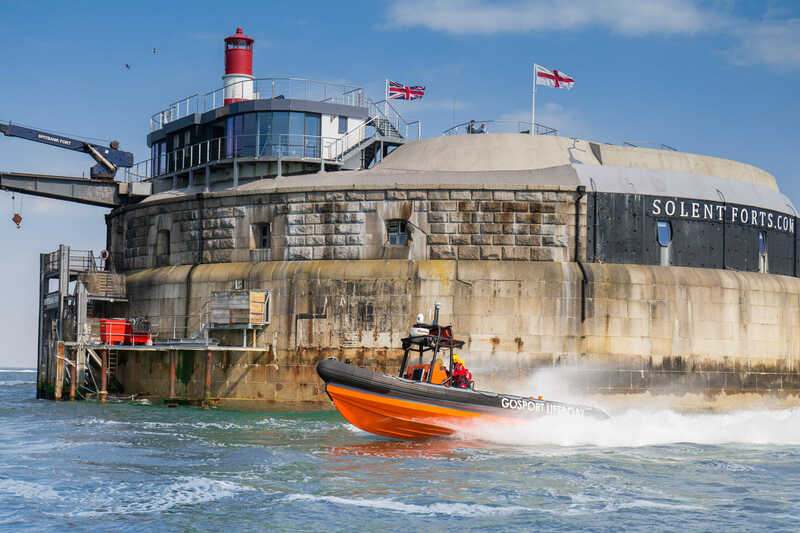 Gosport’s voluntary lifeboat crew was paged by UK Coastguard at 0330 and a crew of seven – including two medics – rushed to Spitbank Fort to assist the woman. GAFIRS’ medics assessed the casualty and the patient was placed in a basket stretcher and evacuated from the fort. Jake Robinson, one of GAFIRS medical team, added: ‘Between myself and another ambulance medic onboard the lifeboat, we assessed the patient who had reported a prolonged episode of breathing difficulties with a reduced consciousness level. GAFIRS crew returned to Gosport Lifeboat Station, Stokes Bay, at 0600.